In Asia Cup 2018, team India is going to play a match against Afghanistan in Super 4 and this match is no more important for team India as they are already into the finals. However, the skipper Rohit Sharma is going to make a record that no captain has done in the history of Asia Cup. Let us tell you that team India skipper Rohit Sharma has made 269runs in the four matches in Asia Cup 2018. Besides, Rohit Sharma also made 194 runs not out in last two ODI games. With this, he also made three half-centuries in the last three games, in which 111 not out, 83 not out and 52 runs he made. If Rohit Sharma made a fifty in the match against Afghanistan hen he will become the first captain of Aisa Cup to hit four half-centuries in back to back matches. 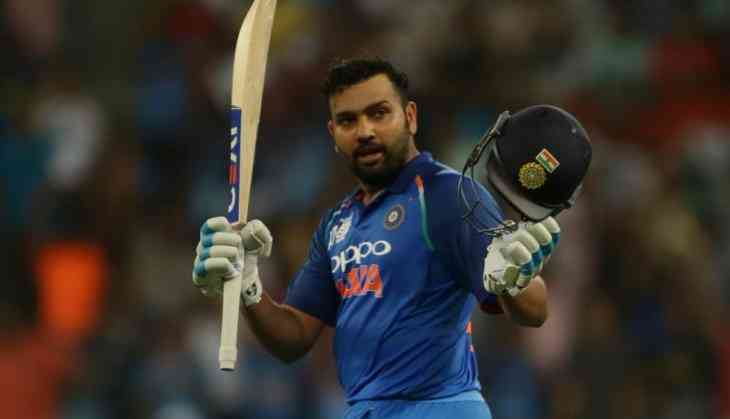 Rohit Sharma will break the record of Sri Lanka's former skipper Arjun Ranatunga who made three back to back half-centuries in Asia Cup and if Rohit Sharma made fourth fifty today then he will become the person to hit back to back fifties.